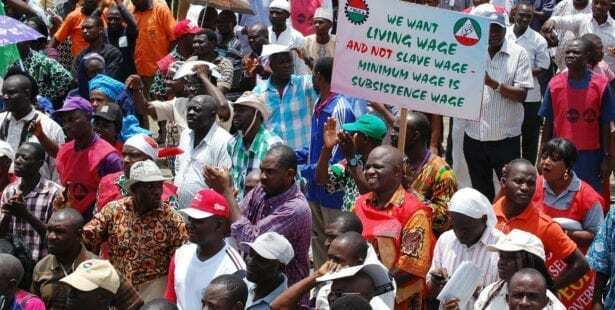 The Nigeria Labor Congress (NLC) is encouraging workers to gather at a National Assembly public hearing this week to implore lawmakers to implement a new minimum wage bill affecting 11 million workers, and reject a proposed two-tier minimum wage bill that will rob state workers of a minimum wage increase all workers were promised more than two years ago. 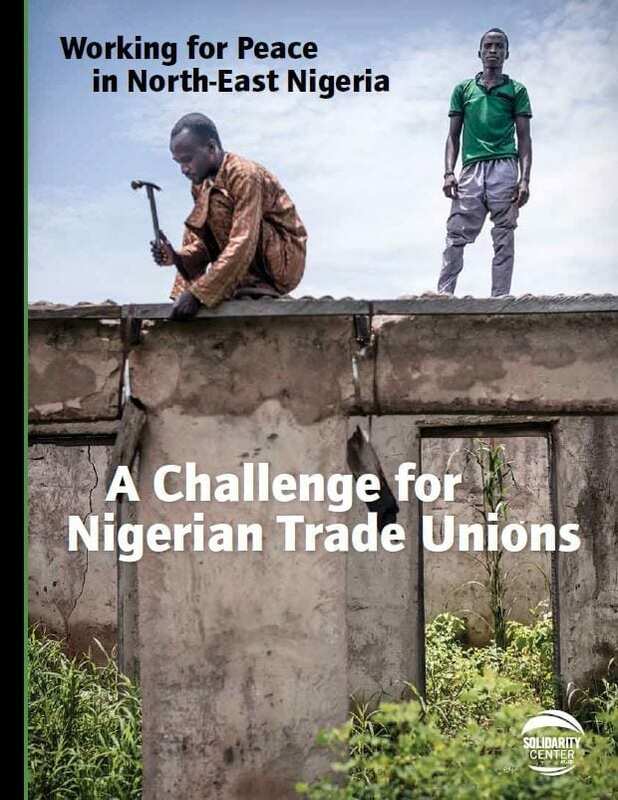 A proposed minimum wage of $83 per month—a 60 percent increase over the current minimum wage–was recommended by Nigeria’s tripartite minimum wage committee following years of negotiations and endorsed by President Muhammadu Buhari last year. Workers have seen a steady erosion of their purchasing power caused by rising inflation, with the cost of staple foods rising more than 11 percent last year. The minimum wage committee’s proposal must be adopted into law by the country’s 360-member House of Representatives in order to take effect, but passage of the law has been imperiled by Nigeria’s state governors, who last week approved a minimum wage of only $74 per month for state workers. The country’s current minimum wage—$49.60 per month—is not a living wage, say workers, who accepted $83 as a compromise to the $164 per month they said would fairly compensate them and help them survive under hyperinflation. 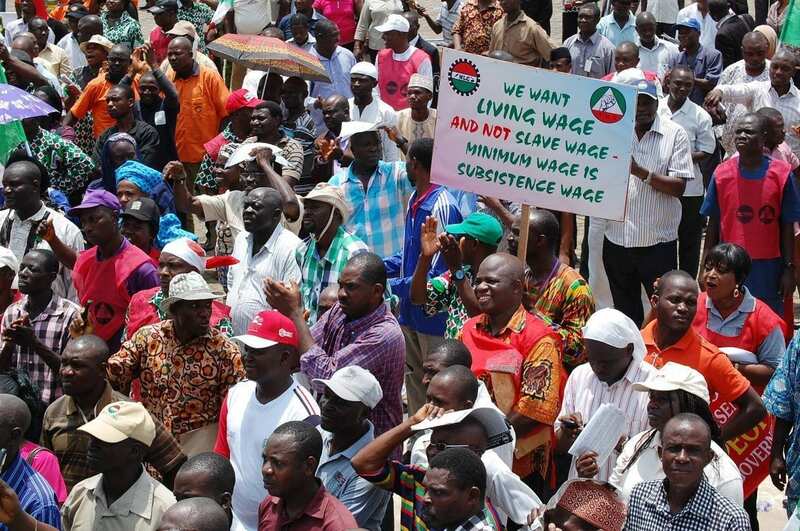 Nigeria’s unions have been engaged in a years-long effort to increase the minimum wage. A threatened general strike in October 2018 was called off only a few hours before it was scheduled to begin, after the wage committee agreed to increase the minimum wage to $83. A second general strike was called off last week after a new national minimum wage bill was submitted to the National Assembly. If a general strike is triggered, all public-sector institutions—including schools, hospitals and the oil sector—will be affected. “We all need to stand ready in a state of full mobilization,” said Nigerian Labor Congress (NLC) General Secretary Peter Ozo-Eson.